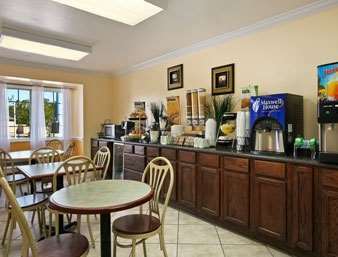 Relax at the consistently enjoyable Non-Smoking Microtel Inn and Suites by Wyndham Baton Rouge conveniently located near Louisiana State University, Mall of Louisiana, downtown Baton Rouge, Baton Rouge Metropolitan Airport, dinner and entertainment at Hollywood Casino, and the Louisiana Art and Science Museum. Business and leisure travelers alike appreciate the affordable, modern amenities of this hotel including complimentary continental breakfast, complimentary wireless Internet access, guest laundry room, conference room and 24-hour business center with copy and fax services. Guest room amenities include a desk and flat-screen TV. Suites with microwaves and refrigerators, smoke-free and handicapped-accessible rooms are also available. There is no charge for children 17 and under with an adult.